Bills defensive coordinator Mike Pettine has worked with some pretty special linebackers in his NFL coaching career, most notably Ray Lewis. So he has a good idea of the kinds of qualities that he feels are needed to be a successful linebacker at the pro level. “First of all is the mentality and the passion,” said Pettine. “They’ve got to love to play. When you have that mentality it shows up how you prepare to play. I was fortunate to be around Ray Lewis and Terrell Suggs and Adalius Thomas. To the guys with the Jets and the common theme was they were guys that loved to play. You’re not necessarily looking at great athletes, but I think the mentality has to be there especially to play linebacker. Ravens LB Ray Lewis said Sunday was going to be a “rough week for Buffalo” on the heels of Baltimore’s disappointing overtime loss to the Patriots. Bills head coach Chan Gailey was asked about Lewis’ comment and had the following response. 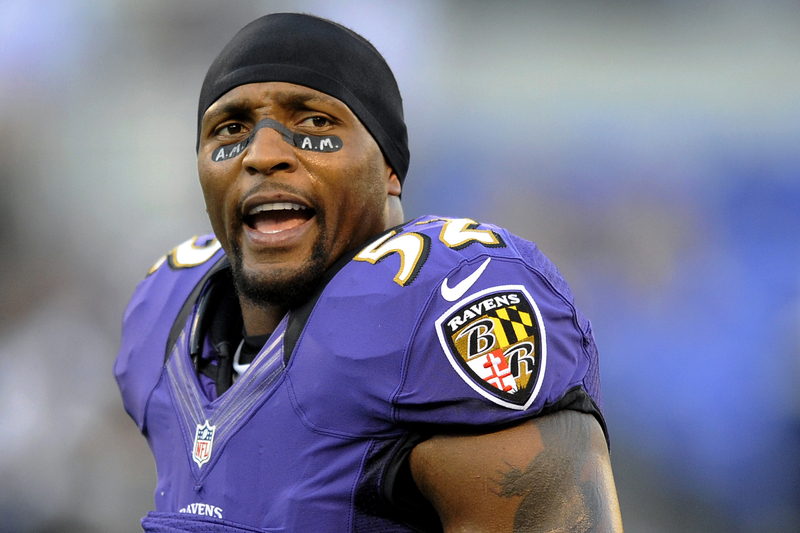 Baltimore Ravens LB Ray Lewis was pretty steamed about their overtime loss to the Patriots Sunday, and he made it clear that he and his fellow teammates plan to take it out on the Bills this Sunday. After warning the Patriots that they’ll be ready if they meet up with them in the playoffs, Lewis also had some words for the Bills concerning Sunday’s game. Let the bulletin board material begin. As we’ve reported in the past Aaron Maybin befriended Lavar Arrington and Ray Lewis as a young Baltimore area grade school football player. Between now and training camp Maybin will be training with Lewis in Florida. “I’ll be going down there within the next couple of weeks and a get a full weekend of training down there with him and then I’ll be back in Baltimore training with my trainer,” said Maybin. Buffalo’s top pick admits you have to have the right mindset before stepping into the gym with the Baltimore linebacker. Suffice to say Maybin won’t be looking for any down time between now and training camp if he’s willing to fly down to Miami just to train with Lewis. Ray Lewis to follow Rex Ryan to Jets? Ravens FA LB Ray Lewis speaking on the NFL Network at the Pro Bowl Thursday stated that the Jets would be a team that he would call, if Brett Favre returns to play quarterback. At 37 Lewis wants to obviously go to a team that wants to win now. He even hinted that if Favre did not return, just having Rex Ryan there as head coach may be enough to lure him.